Main field of our activity. 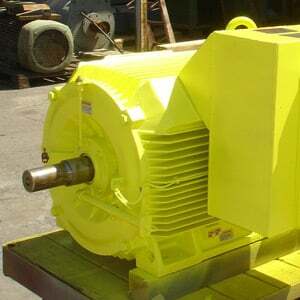 We supply to many countries all types of electric motors. We produce high voltage motors with squirrel cage rotor and slip ring and Storage of standard with a nominal voltage of 3 kV to 11 kV. Deviations from these standards to 13.8 kV nominal voltage. Standard frequencies 50 and 60 Hz. Unbelievable price on High Voltage Motors in Tbilisi (Georgia) company IESco, LTD.